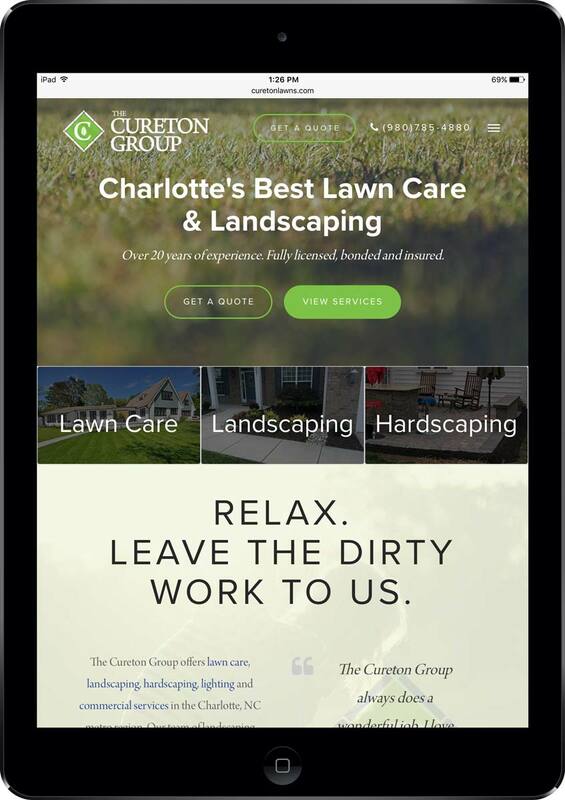 The Cureton Group (formerly Luxurious Lawn Care) came to us for a complete rebrand. This would be a new partnership between brothers to create a true family business. A total rebrand that would portray confidence and quality of work to existing and potential clients who are entrusting The Cureton Group to provide excellent lawn care and landscaping services. The logo mark concept combines the idea of lawn care and landscaping/hardscaping services combine with the serif font gives a strong, yet elegant look. The website is build with WordPress and clients can make payments directly on the website. The Cureton Group is busier than ever and is continuing to grow. Payments via the website have proven to be easy, convenient and intuitive for clients.